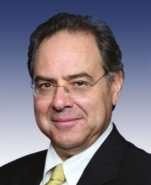 Paul Hodes. [Source: Washington Post]US Representative Paul Hodes (D-NH) asks Congress to investigate how the Pentagon may have improperly influenced so-called “military analysts” to give inaccurate information to the press (see Early 2002 and Beyond). [Associated Press, 4/25/2008] In a letter to Representative John Tierney (D-MA), the chairman of the House Oversight and Government Reform Subcommittee on National Security and Foreign Affairs, Hodes asks for hearings on the program as recently revealed by the New York Times (see April 20, 2008). 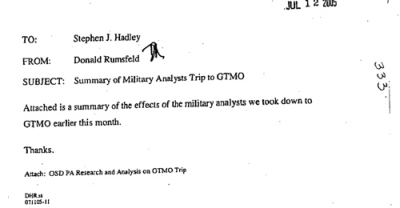 “If these reports are true,” Hodes writes, “it is unacceptable that the Bush administration would attempt to manipulate the public with false propaganda on matters of war and our national security.” He adds: “A hearing also could examine whether some of these analysts were given military contracts with the Defense Department in exchange for reading Bush administration talking points on the public airwaves. The issue at stake here is the public’s right to the truth about our security, our military, and what their government is doing.” [US House of Representatives, 4/24/2008] The House will pass an amendment prohibiting the Pentagon from conducting propaganda operations and requiring the General Accounting Office (GAO) to investigate the program (see May 22, 2008). 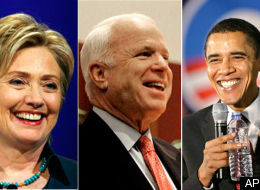 Hillary Clinton, John McCain, and Barack Obama. [Source: Boston Globe]Two of the three major presidential candidates speak out against the Pentagon’s propaganda campaign to manipulate public opinion about Iraq (see April 20, 2008 and Early 2002 and Beyond). Petraeus Turns to Analysts to Promote Surge - In the New York Times article exposing the Pentagon propaganda operation (see April 20, 2008, one event has as yet gotten little attention: the fact that when Petraeus was appointed the commanding general in Iraq in January 2007, one of his first acts was to meet with a group of the Pentagon’s military analysts (see January 2007). Engelhardt explains, “In other words, on becoming US commander in Iraq, he automatically turned to the military propaganda machine the Pentagon had set up to launch his initial surge—on the home front.” Petraeus was by then a willing, and a key, participant in the Pentagon’s propaganda operation, which itself dovetailed with the Bush administration’s attempt to market the escalation of US troops—the “surge” (see January 10, 2007)—as the latest attempt to turn the corner in Iraq. President Bush himself was, by that point, “a thoroughly tarnished brand,” Engelhardt writes, not the person to launch such a marketing campaign. Selling the 'Surge' - “We don’t yet fully know the full range of sources the Pentagon and this administration mustered in the service of its ‘surge,’” he writes, though he notes how quickly General David Petraeus, the commander of US forces in Iraq, was to turn to the analysts for support in their nightly news broadcasts (see April 29, 2008). Sunnis and Shi'ites - Engelhardt notes that it is possible that a similar propaganda campaign helped transform Iraqi Sunni insurgents into heroes—“Sons of Iraq”—if they joined the “Awakening” movement, or members of “al-Qaeda in Mesopotamia” if they did not join the movement. Similarly, it may have been a propaganda campaign that encouraged the media to quickly label every Shi’ite rebel as an Iranian agent. Iran's Influence - “We don’t know what sort of administration planning has gone into the drumbeat of well-orchestrated, ever more intense claims that Iran is the source of all the US’s ills in Iraq, and directly responsible for a striking percentage of US military deaths there,” Engelhardt writes. The New York Times recently reported that, according to “senior officers” in the US military in Baghdad’s Green Zone, 73% of attacks on US troops in the past year were caused by roadside bombs planted by so-called “special groups,” a euphemism for Iraqi Shi’ites trained by Iran. 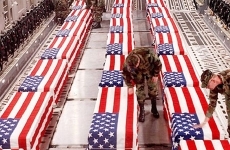 Guided Tours - Many influential Washington insiders have been given carefully orchestrated tours of Iraq by the Pentagon, including former military figures, prominent think tank analysts, journalists, pundits, and Congressional representatives. Many of them have been granted a special audience with Petraeus and his top commanders; many have subsequently lauded the “surge” (see January 10, 2007) and praised the US policies in Iraq. 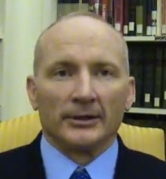 Retired intelligence officer Wayne Simmons. Intelligence Summit Members - All five are part of an organization called the International Intelligence Summit, which describes itself as “a non-partisan, non-profit, neutral forum that uses private charitable funds to bring together intelligence agencies of the free world and the emerging democracies.” McInerney and Vallely are executive board members, as is retired Navy commander Richard Marcinko, author of the Rogue Warrior series of pulp fiction novels. Criticism of NYT Article - The five accuse the Times article, by reporter David Barstow, of “malign[ing] virtually all military analysts, accusing some of being tools of a Pentagon propaganda machine,” an assertion that they state “is flatly wrong.” They state: “We have never stated anything about defense or national security that we did not believe to be true. Equally important, we also have served the essential wartime function of helping civilians be better informed about our military, our enemies, and how the war is being conducted.” They note that some of them had “similar arrangement[s]” with the Clinton administration. 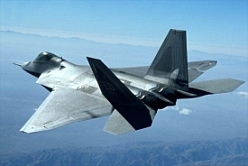 The F-22 Raptor. [Source: AeroSpaceWeb (.org)]According to the Boston Globe, Defense Secretary Robert Gates is preparing to announce sweeping cuts in weapons programs over the following months. Gates, the only holdover in the Obama administration from the Bush cabinet, said before President Bush left office that the US “cannot expect to eliminate national security risks through higher defense budgets, to do everything and buy everything.” Whoever President Obama’s new defense secretary might be, he then said, would have to eliminate some costly hardware and invest in new tools for fighting insurgents. At that point, Gates did not know that he would be asked to stay on as defense secretary. Scope of Cuts - Senior defense officials say that the impending program cuts will be the largest since the end of the Cold War, during the administrations of Ronald Reagan and George H. W. Bush. About a half-dozen programs will be canceled, including the Air Force’s F-22 fighter jet, a new Navy destroyer, Army ground combat vehicles, and other programs such as aircraft carriers and new nuclear weapons. Defense Secretary Robert Gates announces that the Army will phase out its controversial and unpopular “stop-loss” program, which forces soldiers to stay in the Army past their service obligations (see November 13, 2003 and June 2, 2004). The program will be phased out over the next two years. Until then, the Pentagon will offer $500 a month in extra pay to soldiers who continue to serve under the policy, Gates says. Around 13,000 soldiers are currently serving under the stop-loss policy. “We will be drawing down in Iraq, over the next 18 or 19 months, significantly more than we are building up in Afghanistan, in terms of the Army,” Gates says. 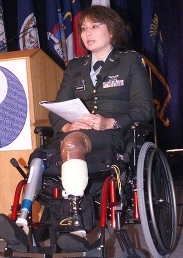 “While these changes do carry some risk, I believe it is important that we do everything possible to see that soldiers are not unnecessarily forced to stay in the Army beyond their end-of-term-of-service date.” The goal is to bring that number down to approximately 6,500 by June 2010, and to virtually zero by March 2011. “I felt, particularly in these numbers, that it was breaking faith” to keep soldiers in the service after their end date comes up, Gates says. “To hold them against their will… is just not the right thing to do.” Beginning in August 2009, the Army Reserve will no longer mobilize units under the stop-loss policy (see November 2002). The Army National Guard will follow suit in September 2009, and the active duty Army by January 2010. The Army retains the option to reactivate the program under “extraordinary” circumstances, Gates acknowledges. But, he says, that should happen only in an “emergency situation where we absolutely had to have somebody’s skills for a specific, limited period of time.” [Washington Post, 3/19/2009] The Army is the only branch of service to use stop-loss. [CNN, 3/18/2009] In 2007, Gates broke with previous Bush administration and military policy by ordering the program “minimized” (see January 19, 2007). Judge Clay Land. [Source: TruTV (.com)]US District Court Judge Clay Land throws out a complaint questioning President Obama’s birth, and seeking to halt the deployment of Army Captain Connie Rhodes to Iraq on the grounds that Obama is not the legitimate commander in chief. Rhodes is represented by “birther” lawyer Orly Taitz (see November 12, 2008 and After, March 13, 2009, and August 1-4, 2009). In the complaint, Taitz writes on behalf of Rhodes: “This plaintiff cannot in good conscience obey orders originating from a chain of command from this merely de facto president. This plaintiff cannot be lawfully compelled to obey this de facto president’s orders.” Land, clearly angered by the complaint, says Taitz will face sanctions if she ever files a similar “frivolous” complaint or lawsuit in his court again. Rhodes, Land rules, “has presented no credible evidence and has made no reliable factual allegations to support her unsubstantiated, conclusory allegations and conjecture that President Obama is ineligible to serve as president of the United States. Instead, she uses her complaint as a platform for spouting political rhetoric, such as her claims that the president is ‘an illegal usurper, an unlawful pretender, [and] an unqualified imposter.’” The evidence presented by Taitz in the complaint is groundless, Land rules, noting allegations that Obama might have used 149 addresses and 39 Social Security numbers before becoming president and the existence of what Taitz claims is Obama’s Kenyan birth certificate. “Finally, in a remarkable shifting of the traditional legal burden of proof,” he writes, “plaintiff unashamedly alleges that defendant has the burden to prove his ‘natural born’ status. Any middle school civics student would readily recognize the irony of abandoning fundamental principles upon which our country was founded in order to purportedly ‘protect and preserve’ those very principles. Unlike in ‘Alice in Wonderland,’ simply saying something is so does not make it so.” Land orders that Rhodes pay any costs incurred by the defendants, who include President Obama, Defense Secretary Robert Gates, and Colonel Thomas Manning, a garrison commander at Fort Benning, Georgia. Taitz says she believes Land is guilty of treason by dismissing her complaint, saying, “Judge Land is a typical puppet of the regime—just like in the Soviet Union.” She adds that she intends to keep fighting for Rhodes if Rhodes desires her to, telling one reporter, “Listen, Nelson Mandela stayed in prison for years in order to get to the truth and justice.” Three days later, Rhodes renounces Taitz as her lawyer, and informs Land that she did not authorize the emergency request for stay of deployment that Taitz filed on her behalf. “I did not authorize it and do not wish to proceed,” Rhodes writes in a letter to Land. “Ms. Taitz never requested my permission nor did I give it.” She adds: “I do not wish for Ms. Taitz to file any future motions or represent me in any way in this court. It is my plan to file a complaint with the California State Bar due to her reprehensible and unprofessional actions.” Rhodes is deployed days later; an Ohio lawyer files a separate complaint with the California State Bar (see September 17, 2009). [Columbus Ledger-Enquirer, 9/16/2009; Huffington Post, 9/16/2009; TPM Muckraker, 9/16/2009; Washington Independent, 9/19/2009] Taitz responds by telling a reporter she believes Rhodes’s letter is a forgery. “I don’t know if this letter came from her,” Taitz writes in an email, “since she is in Iraq now and the Office Max store from where it came, states that they don’t send faxes for customers. The signature on her notarized letter from Kansas and this letter looks different.” An Office Max clerk confirms that he faxed the letter on behalf of Rhodes, and the letter itself notes that she would fax it to Judge Land. Taitz goes on to claim that she believes Rhodes “was pressured by the military” to renounce her and consider filing a complaint with the California State Bar. “It appear to be a concerted effort to quash all free speech, particularly any legal challenges to Obama’s legitimacy.” [TPM Muckraker, 9/21/2009] In October, Land will sanction Taitz, fining her $20,000 for professional misconduct (see October 13-16, 2009). Land recently dismissed another, similar lawsuit filed by Taitz on behalf of Army Major Stefan Cook (see July 8-16, 2009). Entity Tags: Dakota Meyer, BAE Systems, AUSGAR Technologies, Inc. Retired Major General Jerry Curry, who served in the Defense Department during the Carter and Reagan administrations, comes out in support of Lieutenant Colonel Terry Lakin. Lakin has refused to obey orders deploying him to Afghanistan because, he says, he questions President Obama’s citizenship and therefore his right to issue orders to the military. 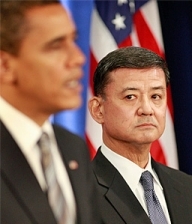 Lakin faces a court-martial for disobeying orders (see Before April 13, 2010 and April 22-23, 2010). “It shouldn’t be the lieutenant colonels, sergeants, and generals in the Army” asking questions about Obama’s citizenship, Curry says. “[I]t should be the congressman and senators on both sides of the issue asking this man to step up to the plate” and provide the proof to the American people. Curry is concerned that Lakin’s recent prediction that the Obama “administration will do its best to destroy him personally” is probably accurate. Curry says Obama should “look the American people in the eye” and say: “I am under a cloud because there are some folks that think I am illegitimate. If you will tell me what you think I need to provide to cause you to throw this mess out the window, and to understand that I am legitimate, then I will provide what you folks want because the most important thing is this country and carrying out the Constitution.” Curry joins retired Major General Paul Vallely, a frequent Fox News analyst (see Late September 2003), in questioning Obama’s citizenship. Curry agrees with Vallely that the birth certificate produced during the 2008 presidential campaign (see June 13, 2008) is insufficient evidence of Obama’s citizenship (see August 21, 2008, October 30, 2008, and July 28, 2009). 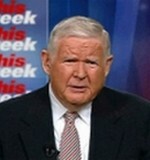 Curry says people need to understand that the purpose of pushing for the information is for the good of the country, not for personal reasons, saying he does not want “to hurt Obama, we want the truth out so we don’t hurt the country.” [Greeley Gazette, 8/9/2010] Three weeks later, Vallely’s fellow Fox News analyst, retired Lieutenant General Thomas McInerney, joins Vallely and Curry in publicly supporting Lakin (see August 31, 2010). 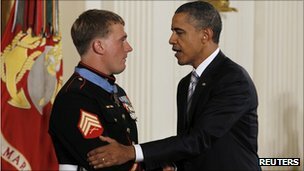 Inactive Reserve Marine Sergeant Dakota Meyer, whose actions in eastern Afghanistan (see September 8, 2009) military writer Bing West called “the greatest act of courage in the war [in Afghanistan]” [West, 2/22/2011, pp. 98-111] , is reported to be under consideration for the Congressional Medal of Honor. 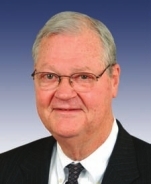 [Marine Corps Times, 11/8/2010] Meyer is working with AUSGAR Technologies at this time (see June 2010 - March 2011). US Representative Louis Gohmert (R-TX) says on the floor of the House that President Obama is trying to “deplete the military” so he can create his own private army through a provision in the recently passed health care reform legislation. Gohmert, railing against health care reform, says: “It’s a bad bill. And then when you find out that the prior Congress not only passed that 2,800-page bill with all kinds of things in it, including a new president’s commissioned officer corps and non-commissioned officer corps. Do we really need that? I wondered when I read that in the bill. But then when you find out we’re being sent to Libya to use our treasure and American lives there, maybe there’s intention to so deplete the military that we’re going to need that presidential reserve officer commissioned corps and non-commissioned corps that the president can call up on a moment’s notice involuntarily, according to the Obamacare bill.” Gohmert is referring to debunked claims made in a recent spate of chain emails that Obama can create a “private army” under the new health care legislation (see April 7, 2010). 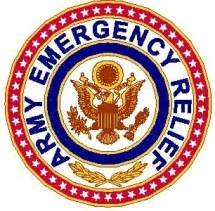 The legislation did create the “Ready Reserve Corps,” an arm of the US Public Health Service Commissioned Corps, but its purpose is to help the government more effectively respond to emergencies and natural disasters. [Political Correction, 3/31/2011] Gohmert has expressed a number of strong views regarding health care reform in the past (see July 16, 2009 and July 24, 2009). Entity Tags: Dakota Meyer, BAE Systems, Pakistan, Pentagon, AUSGAR Technologies, Inc.